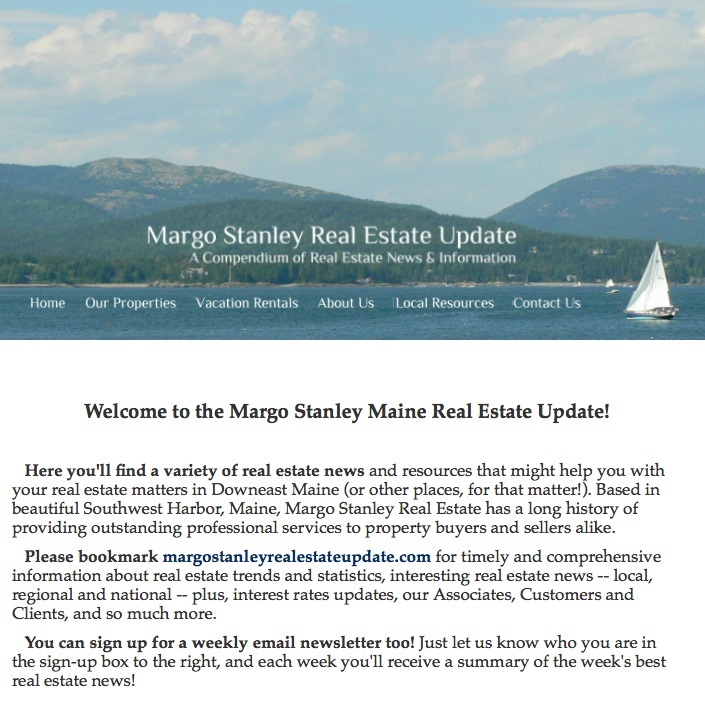 Welcome to the Margo Stanley Maine Real Estate Update! Here you'll find a variety of real estate news and resources that might help you with your real estate matters in Downeast Maine (or other places, for that matter!). Based in beautiful Southwest Harbor, Maine, Margo Stanley Real Estate has a long history of providing outstanding professional services to property buyers and sellers alike. Please bookmark margostanleyrealestateupdate.com for timely and comprehensive information about real estate trends and statistics, interesting real estate news -- local, regional and national -- plus, interest rates updates, our Associates, Customers and Clients, Celebrity Homes and Mega-Sales, Changes in the Law and so much more.